Newton's Nook Designs: Happy World Card Making Day! How are you going to Celebrate? Are you going to do some card-making? We're celebrating with a sale and today is the last day! All orders are 15% off - PLUS our four newest releases are discounted in our shop - so you save even more! (Check them out on our sale on the Newton's Nook Designs Sale page. Sale prices and the 15% off discount are good until Midnight on Saturday, Oct. 5th! Use Code WCD15 in your shopping cart to get the discount! 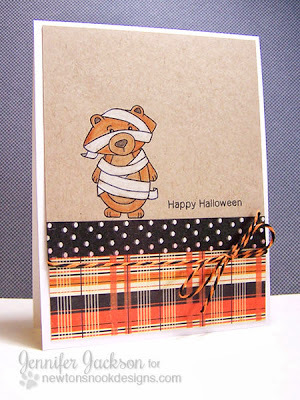 Today I'm sharing this super cute Mummy Bear Card I made using one of the sale sets, Boo Crew! If you haven't snatched this set up yet you should definitely grab one today. It's such a fun set to color! 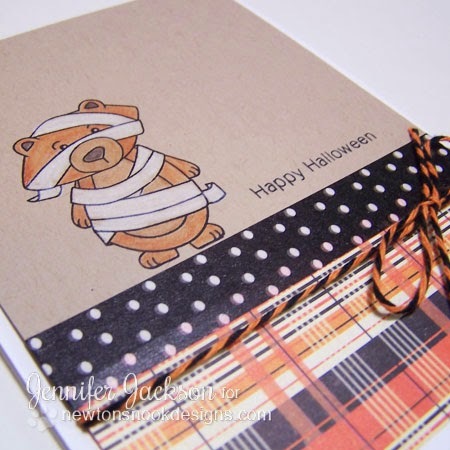 On this card I stamped the bear Mummy image on kraft card stock and colored him with colored pencils. Isn't it fun how the white wrappings pop off that paper? I just love this funny little guy! Then I added some patterned paper and washi tape and some bakers twine in orange and black! 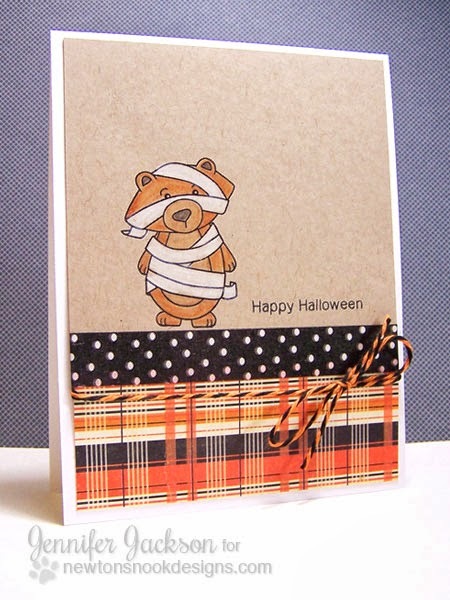 what a fun Halloween Card! Plus - it was really simple to make! Gotta love that! Hope you have a great weekend and don't forget to check out the sale before it's over! Super duper darling cute little bear! He's adorable on kraft! Love the colouring! Wonderful inspiration once again! Oh my gosh what an adorable card. TFS. Adorable image and love your border of washi tape.